In loving memory of my beloved husband and our father. 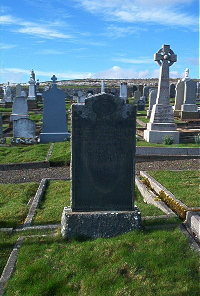 John Sutherland died at Leodibest Latheron 25th May 1946 aged 73. Wife Christina Mackay died 17th June 1964 aged 85.